On August 6th-8th, the School of Philosophy and the Centre for Philosophy of the Sciences held a workshop to celebrate the completion of Kim Sterelny's Australian Research Council Laureate Fellowship project "The Origins of Social Inequality, Hierarchy, and Social Complexity.” Over the three days, numerous local and international speakers touched on themes from Sterelny’s work, including Jonathan Birch (LSE), Lindell Bromham (ANU), Michael Devitt (CUNY), Peter Godfrey-Smith (Sydney), Cecilia Heyes (Oxford), Peter Hiscock (Sydney), Liz Irvine (Cardiff), Pete Richerson (UC Davis), and Russell Gray (Max Planck Institute for the Science of Human History). 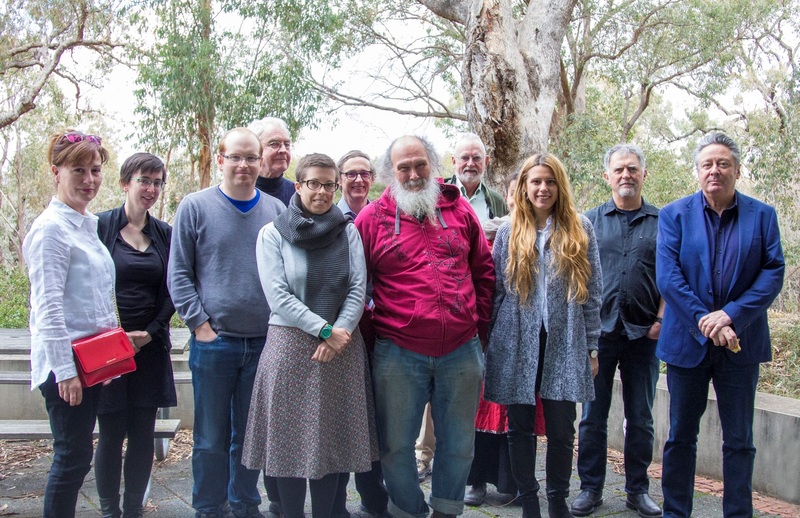 The Centre for Philosophy of the Sciences is sponsoring a workshop to celebrate the completion of Kim Sterelny's Australian Research Council Laureate Fellowship project (FL130100141): The Origins of Social Inequality, Hierarchy, and Social Complexity. Registration is free, but for catering purposes please use the Eventbrite link to the right. 10:45am -12:00am Cecilia Heyes: Is morality a gadget?